I rolled out the students’ blogs last week in three of my classes while my other three classes logged in today. Overall the students were very productive, they began personalizing their blogs and writing their class expectation blog posts. The three classes that started last week are almost done with the assignments and ready to move on. I broke the assignment up for my classes up to keep me from dealing with the potential of six periods of chaos in one day. Today, all six of my classes were in the computer lab, we all managed to survive the day. Having half of the classes wrapping up the assignment while the others were starting allowed me to troubleshoot issues so much more effectively. Speaking of troubleshooting, I did discover that for the most part, the students who had blogs from my class last year had a harder time remembering their log in information…which I anticipated. Most could log in to Edublogs, a few needed their passwords reset via their Gaggle student email accounts. A select few needed assistance to log in to both accounts, but this happens on occasion and the students were eager to help each other out while I helped with the administrative tasks. The students who were new had an easier time, they were given their usernames and they all had a generic password to use. There were a couple of hiccups with students who were added to my class in the last couple of days, and one or two that I missed when creating the blogs. 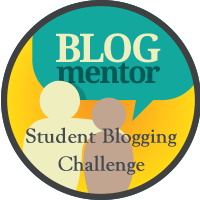 I am not sure of it was out school filter or an Edublogs issue, but several student accounts were rough to set up and once they were logged in, they had multiple blogs created from my various attempts to create accounts for them. Their first task was to change their password to something they would remember. The students then had to make their blog the primary blog. 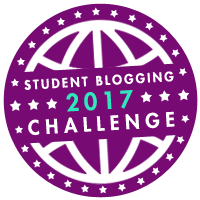 This defaults the students to their personal blog instead of the class blog at sign in. From there they began writing their expectation post and personalizing the space. The processes were modeled the previous day in class, using the Interactive Whiteboard. In a couple of classes I had the students gather around a computer while a student modeled how to turn in the assignments or complete a task that was confounding several students. All in all it was a very productive day, with many lessons learned and everyone playing different roles; students as teachers, teachers as learners. It was what school and learning is supposed to be about. And the chaos…it was nothing like I had feared.